Shakespeare’s works have provided fertile ground for reimagining the nature of the book, from illustration, to typography, to format, to binding, to other aspects of physical form. 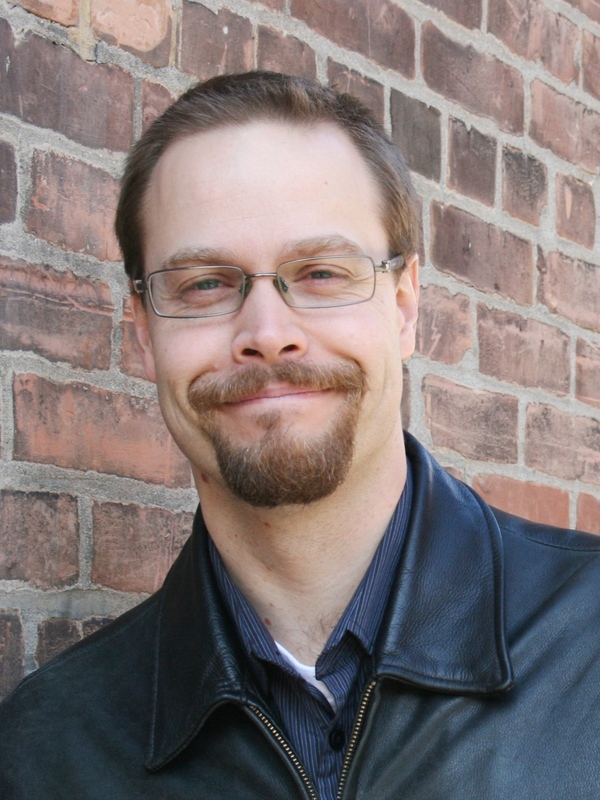 The various forms of books have shaped our experience of Shakespeare, and so, in turn, have Shakespeare’s works influenced the forms that books have taken. That mutual relationship between mediation and imagination can be seen in the examples below, drawn from an ongoing exhibition at the University of Toronto’s Thomas Fisher Rare Book Library, titled “So Long Lives This: a Celebration of Shakespeare’s Life and Works” (which I co-curated along with Peter Blayney, Marjorie Rubright, and lead curator Scott Schofield). 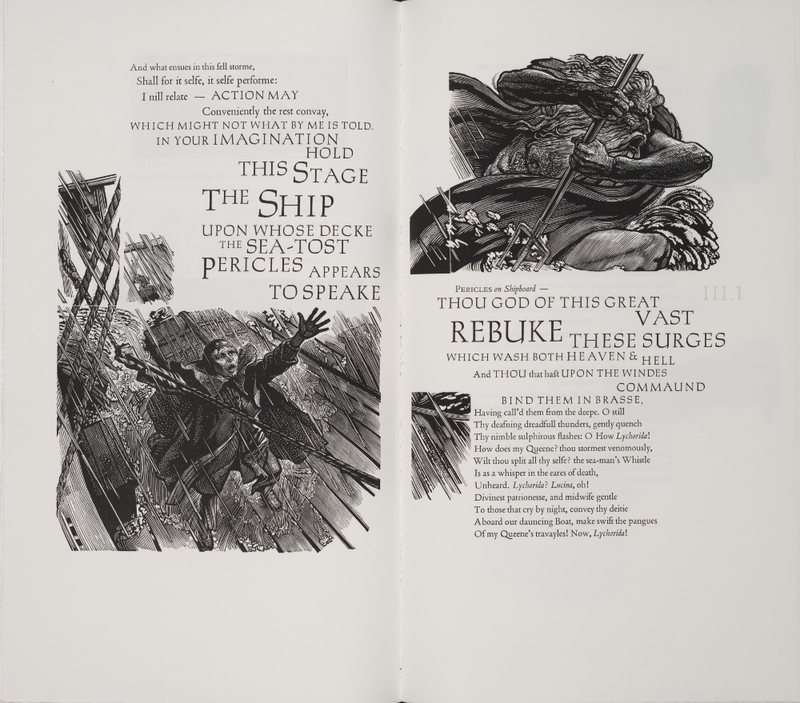 The book itself becomes a performance in a remarkable edition of Pericles published in 2011 by the Barbarian Press, based in Mission, British Columbia, and operated by Crispin and Jan Elsted. Combining the editing and design talents of co-proprietor Crispin Elsted, calligraphy by Andrea Taylor, bindings by Hélène Francoeur, and over one hundred illustrations by Simon Brett, this remarkable book shows what can be accomplished by a small press working with quality materials and an adventurous approach. Yet Pericles is hardly an obvious choice for an expensive artists’ book in a limited run. This late romance set in the Mediterranean presents any modern re-interpreter with real challenges: a corrupt text with numerous errors; a plot dependent on providential coincidences; an episodic romance structure with mostly flat, conventional characters in lieu of psychological realism; a reputation as one of Shakespeare’s lesser plays, written as a late-career collaboration with another dramatist; its omission (possibly on the same grounds) from the first great bibliographical instantiation of the Shakespeare canon, the 1623 First Folio; and a lack of a continuous, high-profile stage tradition on the scale of Hamlet, Macbeth, A Midsummer Night’s Dream, or even its more admired late-romance counterpart, The Tempest. Today, Pericles is a tough sell. For these and other reasons, the Barbarian Press Pericles has been recognized as an achievement in modern Canadian printing, winning awards from the Alcuin Society and the Oxford Fine Press Book Fair. (There are reasons to suspect that the story told in this book’s preface is not entirely serious—except about the genuine talent reflected in these illustrations.) 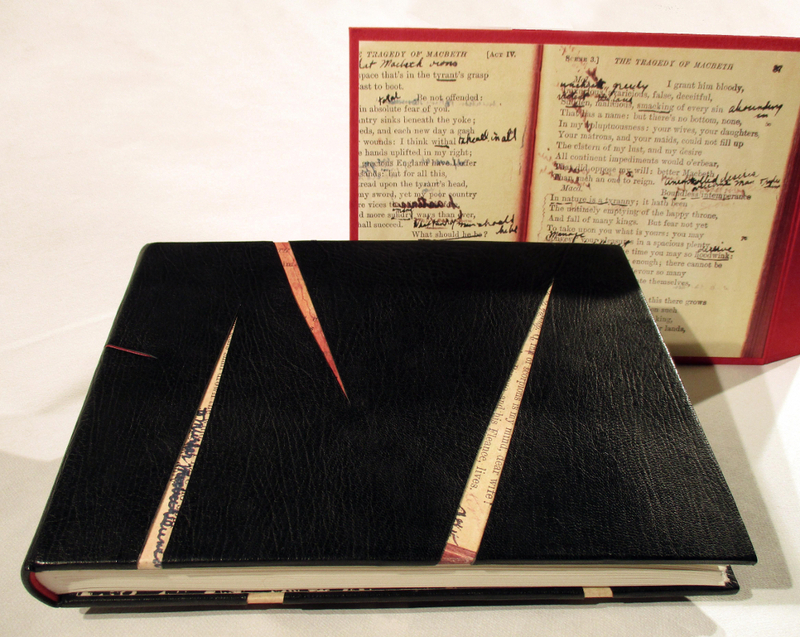 Taylor’s binding takes images of Rinderpest’s 1922 MacMillan edition of Macbeth, apparently annotated in his anxious hand, and covers them with black leather and red highlights—but slashed diagonally in places, as though by a murderer’s dagger. Like the violence done to various bodies throughout Macbeth, the cuts in Taylor’s binding reveal a traumatic history just below the surface, with the annotated pages of Rinderpest’s own edition showing through these unclosed bibliographic wounds. 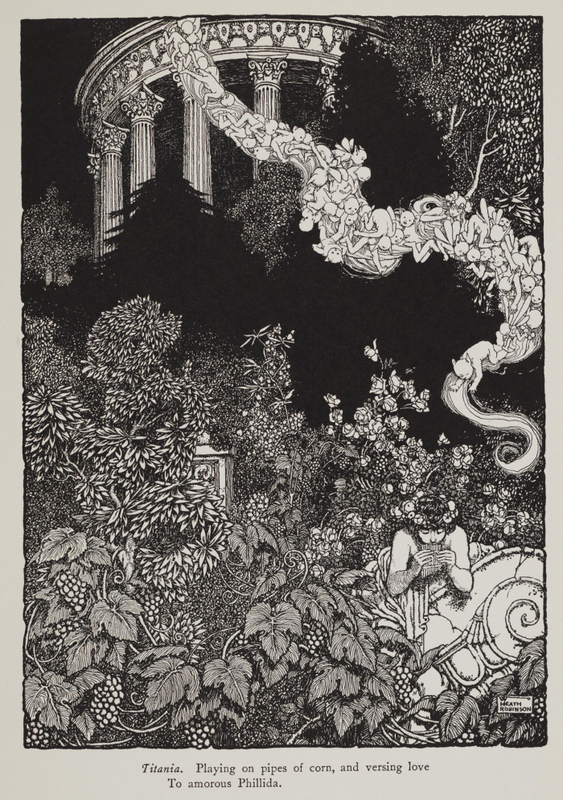 Wu’s volume also embodies the theme of Shakespearean reinvention by re-binding a 1914 edition illustrated by the great English cartoonist W. Heath Robinson. 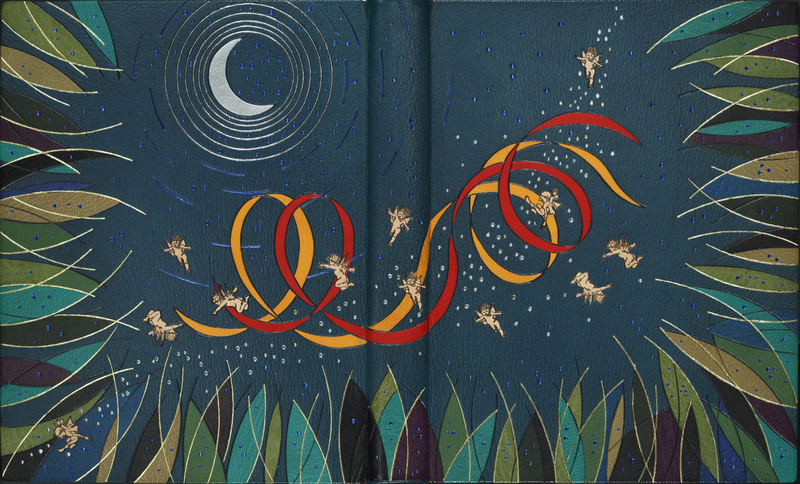 The tiny figures that adorn Wu’s binding are taken individually from several of the 1914 illustrations. Wu has arranged them to echo Robinson’s visual motif of a mob of fairies tumbling into the frame, spreading magic and mischief behind the scenes of ordinary human affairs. As these few examples show, the form of the Shakespearean book does not stand still, but changes in concert with our own understanding of Shakespeare, literature, and the relation between past and present. That theme is developed in my own book, The Shakespearean Archive, and in the exhibition “So Long Lives This,” which runs until the end of May, 2016 at the Fisher Library in Toronto. Images reproduced by permission of the Thomas Fisher Rare Book Library, University of Toronto.